← Back, Back, Back on My Blog Game! WARNING: a small history lesson approaching, fasten your seat belts… Many of us will don the color green to celebrate our Irish heritage (feigned or real) on this day; however, did you know that St Patrick is said to have used the shamrock to explain the Holy Trinity to the pagan Irish back in the day? see http://en.wikipedia.org/wiki/Saint_Patrick’s_Day (explaining St. Patrick’s Day in the most educational and informationally correct of manners 😀 ). So, while you and your friends are out there enjoying the day’s favorite beverage, take a second to think about the true meaning of St. Patricks Day… just kidding, again… enjoy! At last, I bet you are wondering what is going on inside this Orange ‘Splosion… I started with some, you guessed it, carrots! Next, I threw in a plump organic tomato, 1/2 of a big fat cucumber, one ginormous red delicious apple, one banana, and some water (in its frozen and liquid form). 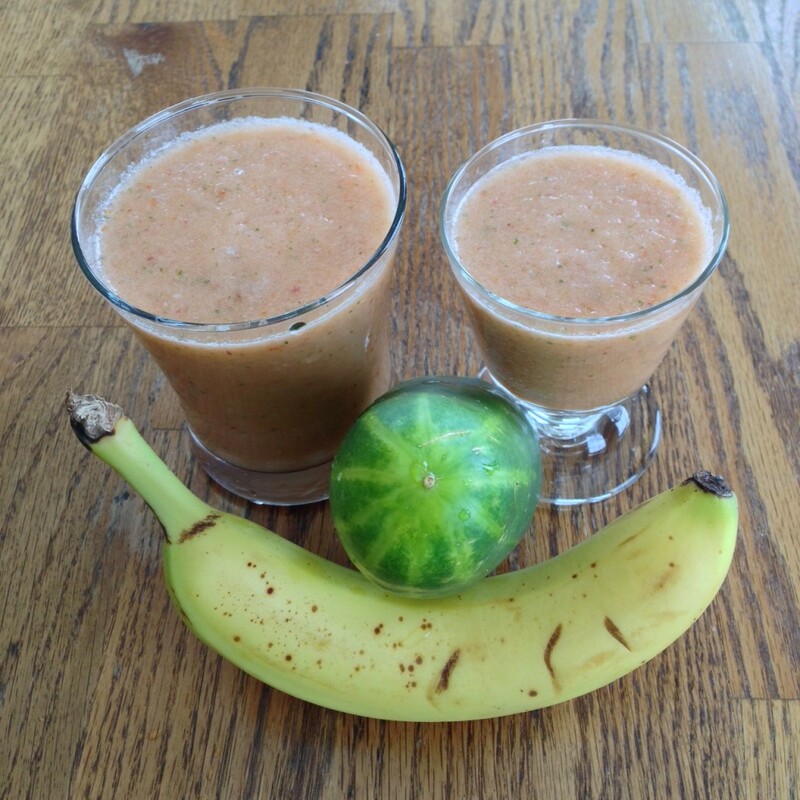 This entry was posted in Smoothie, Uncategorized and tagged apple, banana, carrots, cucumber, tomato. Bookmark the permalink.